Michelin Latitude Sport 3 has the homologation with most famous SUV models and brakes 2.70 meters shorter and with Michelin Total performance, more performances brought together. 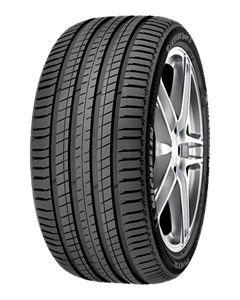 +10% of tread footprint from the previous generation MICHELIN Latitude Sport, providing improved safety on the wet. A continuous central RIB to ensure high torque transfer during the braking and acceleration phases. The two-ply carcass ensures a high level of robustness for SUVs dedicated to 100% on-road usage. An innovative rubber compound for the tread block, made of a mix of silica and the latest generation of elastomers, offering an excellent level of mileage performance with no compromise on safety and fuel economy. The variable thickness sipes minimise deformation of the tread surface, therefore reducing the tyre’s rolling resistance.